The Season 10 premiere of The Bachelorette is scheduled to air tonight on ABC, and one of Andi Dorfman’s guys have already spoiled the entire season. If you don’t want to know who the Season 10 winner of The Bachelorette is, then you should probably stop reading now. Although, you’re really just postponing the inevitable, since the name of Andi Dorfman’s fiancé is already plastered all over the internet. 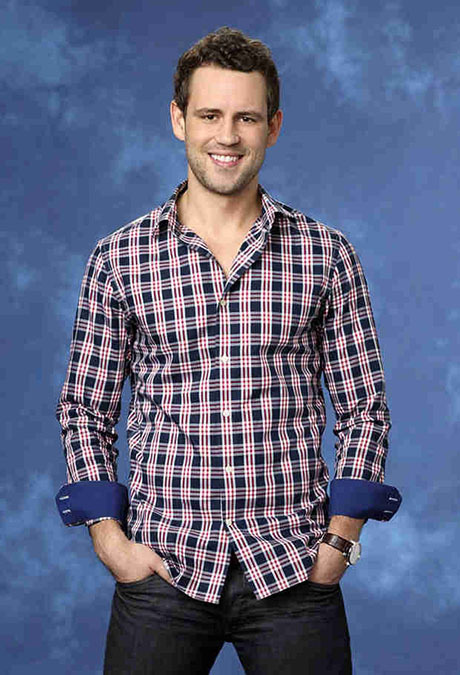 The Season 10 Bachelorette “Bad Apple” is runner up Nick Viall, who sat on an airplane on his way home from the Final Rose Ceremony and dissed the guy Andi chose over him, Josh Murray, loud enough for nearby passengers to record on their cell phones. Of course, the infamous blogger and Bachelor spy Reality Steve obtained copies of the videos and posted them on YouTube for the world to see. According to Reality Steve, the videos were taken on May 11th, two days after The Bachelorette season finale was shot, and supposedly Andi Dorfman gave her final rose to Josh Murray and sent Nick Viall home empty-handed. In the first video, Viall disses Josh Murray and goes on to say that all Josh does is, “he just eats, sleeps, and shits and like, has a bad temper.” Viall also stated Josh was “super emotional” and “will do whatever she [Andi] wants.” Nick then discusses his relationship with Andi Dorfman, and how she was into him the entire season and kept saying “how easy it was with him.” Then at the last minute Andi apparently “changed her mind” and decided she wanted to be with Josh Murray. Ouch!